Caesar’s Well,Sunset Road was the evocative setting on Wimbledon Common for the first round of this winter’s Surrey Mens Division Two fixture. The weather held good and the going was firm. Team Manager,Matt Hyett,was rewarded with a reasonable turnout of 13,only 2 or 3 short of our best likely squad. The host club Wimbledon Windmilers’ course is on the narrow side,particularly in the woodland section and even a different start quickly siphoned the field. Scott Evans and returning member,Matt Taylor,were well in the van,with last year’s Surrey Masters Champion,Matt Atkins,in close rank as the runners passed the finishing funnel early in lap one. The full field of 207 eventual finishers,up on recent contests in the division,spread out very swiftly,and our leading 6 came through into the second and final lap in good order with Alex Thomas,and V35s,Jamie McCullagh and Matt Hyett completing our first half dozen,well into the top half of the field. John Sanderson(G&G) and Scott Evans reached the funnel well clear of the rest,as had been the usual case last winter,with Scott having to settle for runner-up this time.Matt Atkins had pushed through on lap 2 into a fine 11th place. 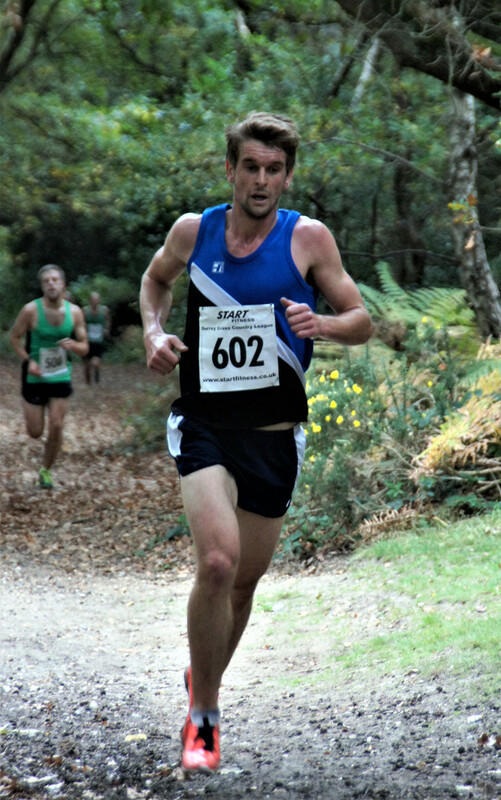 Matt Taylor,in his first Surrey League outing in recent years,was a very useful 3rd home in 38th,just ahead of Alex Thomas(42nd). Jamie McCullagh 60,Matt Hyett 68,Chris Gibbons 77,David Wilby 79,a welcome returning James Robertson 82 and M45 evergreen Andy Arbour 85 completed our scoring 10. This was a much better outcome than M1 last winter,but we still have much to do in the 3 other fixtures to retain our place in the division. Teamwise we are 6th of the 9 clubs,with 2 to drop down,but there are precious few points between those last 4 clubs. It’s early days yet,and we have our next match at home on November 11th for which it needs to be all hands to the pump,both on and off our Richmond Park venue,starting close to the Isabella Plantation. We are still able to use this course thanks to some nifty diplomatic footwork from TM Matt’s mother,Linda. Jonathan Darby 115 and stalwart M60s,David Greenfield 200 and Mike Edwards 205 completed our full complement at Caesar’s Well. Meanwhile,the Club 5 from Sheen Gate is on the Fixture List next on October 21st,starting at 2pm. Trophies up for grabs are the Bert Long Open,Alec Addis U20 and George Harrup Vets/Masters H’cap. Officials,marshals and helpers are very muchrequired,so please call Matt to help. The Surrey Masters Champs also go in the Park. 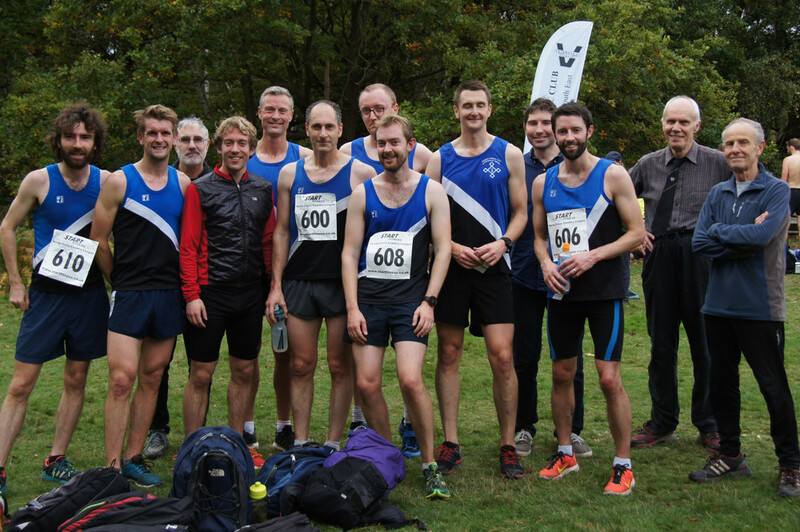 Full results – surreyathletics.org.uk and click Cross Country,then Surrey Leagues.